There’s a common myth that states, “In order to eat a healthy diet, you need to spend big.” We wanted to put this myth to the test, so we reached out to our old friend Kim the Intern and asked her to be our guinea pig. 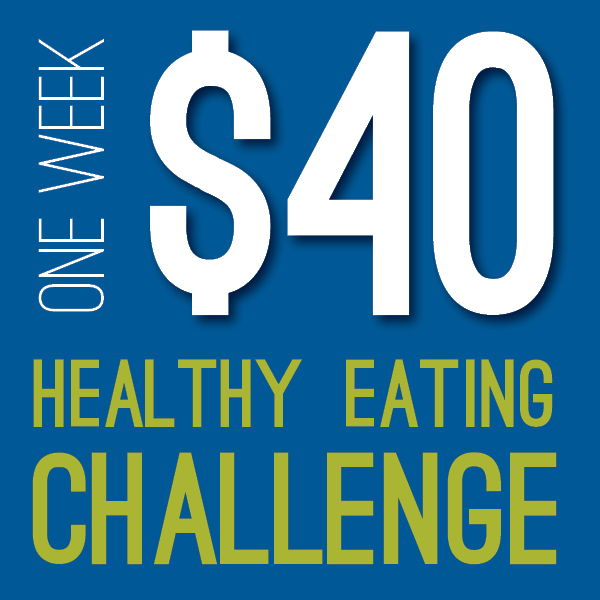 Kim agreed to take the One Week $40 Healthy Eating Challenge and blog about her tales. 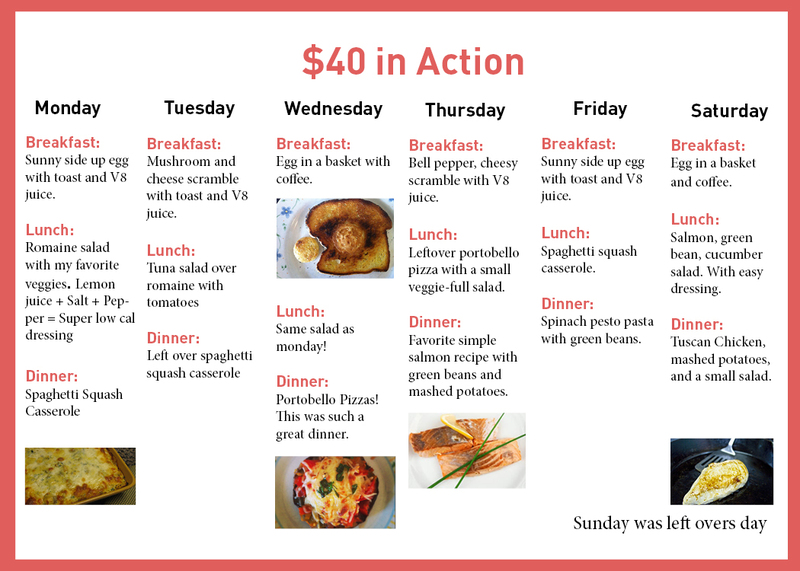 Here’s how it worked: For one week, Kim was only allowed to spend $40 on food. We chose $40 because that’s about $10 less than the national average weekly grocery budget for a single person. Kim’s a brave soul, so we wanted to challenge her! Kim’s shopping list was up to her, but everything she ate had to be widely considered to be “healthy food.” She could eat out during this week, but if she did, it had to come out of her $40 budget, and the dish had to meet the same healthy criteria. With only $40 to spend, I had to do some research. So, I scoured my old friend Pinterest for some new recipes and put together a list of things I could use for several meals. 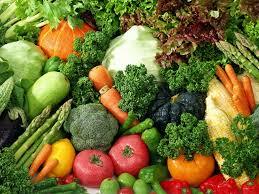 This is basically what my veggie drawer looked like. I had originally thought I would save a little money that I could spend on stuff to supplement my meals during the week. But when I got to the register, I realized that I had hit my $40 limit! So what I had in my cart was what I had to work with. The challenge was on! Keep in mind I was only cooking for one person, but this had to last me 7 full days. I tried a bunch of new recipes – all healthy – and to my surprise, I was able to eat well for the whole week. I thought I’d be starving, but it turns out, with planning I had more than enough food, and I even had leftovers on most days. For someone who isn’t able to spend a lot of time cooking, this was a huge feat for me. The biggest challenge wasn’t staying within my budget, it was finding the time to prepare my meals. But with a little time and effort, it was totally doable. If you would like to look at some of the recipes I used, please visit the PacificSource recipe board on Pinterest! This was a great challenge, and if you’re even remotely interested, I would suggest trying it out. I ate healthy every day and for someone whose primary guilty pleasure is junk food, making it to Sunday sounded daunting. But I made it, I feel great and I have some new favorite recipes!